When you need replacement doors and windows for your home, we at R&M Quality Windows and Doors understand that you have many things to consider. Some Fremont windows and doors installation companies boast absurdly cheap prices — unfortunately, that also means you get what you pay for, which is cheap, inadequate products and service. Others believe in charging an arm and leg for everything they sell and install, even up selling you on services and products you don’t need. At R&M Quality Windows and Doors we know you deserve better. You deserve an exceptional experience throughout the doors and windows sales and installation process. You deserve to know everything that goes into your home is fully guaranteed, and on the rare occasion that there’s a problem, it will be fixed immediately and to your complete satisfaction. R&M founders Ron and Mike can assure you of all those things. We’re experts in windows and doors sales and installation, and we work with all sorts of different door types, including front doors, interior doors and patio doors. We run our business from a customer-based perspective: We’re honored to work for you, and we treat every customer the way we want to be treated. 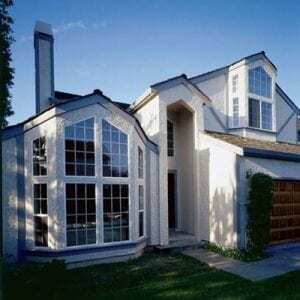 We can guarantee everything we do because we have 30-plus years of experience in the windows and doors industry in Fremont and throughout the greater San Francisco Bay Area. We don’t believe in up selling customers on things they don’t need. When we do a free in-home estimate, our complete focus is on you getting the doors and windows replacements that are right for you and your home. Your complete satisfaction is our only priority. In fact, one of the best reviews we ever received on the online review site Yelp came from someone who wasn’t even a customer. When a Mountain View man called for an estimate on a door repair — after others said it would be $150–$300 just to come out — we told him he should save his money and try a quick fix himself. He did, it worked like a charm, and he was so thrilled he took the time to thank us on Yelp, which we appreciate. It means a lot to us, because everything we do at R&M is oriented toward providing great quality at a reasonable price. We’d never sell or install a product we didn’t have complete confidence in, which is why we only work with top-quality providers such as Milgard, Amerimax, Simpson, and Simonton. We also never use freelancers or subcontractors to install windows and doors in the Fremont area. You only get work from our carefully trained staff. All of our employees know to treat your home like it was their own, being careful to protect your belongings and ensure a clean and safe installation environment. That’s what makes R&M Quality Windows and Doors a leader in installing windows and all types of doors in Fremont and surrounding areas.